Unlike other FTP tests I've read, the 5 min effort is not an all out effort. My question is: What percentage of the 20 min power can I use as my FTP? Also, do i take a percentage of the average power or NP for the effort? The training plan does not talk about how to calculate FTP, only the workout itself. Last edited by notwist; 01-07-12 at 12:03 PM. Depends on the individual, but most people follow what it says in the book that you got the test from, which I believe says 95%. The effort level in the 5 minute part is crucial. It is designed to deplete the "high octane" muscle fuel. Sandbagging it will throw things off. Also some people have a lot more anaerobic capacity. 5 minutes might not burn it all off. Different test protocol. This is 5' at threshold. It's more of a warmup than a burn off. I think it may actually make the 20' stronger than if you didn't do it. 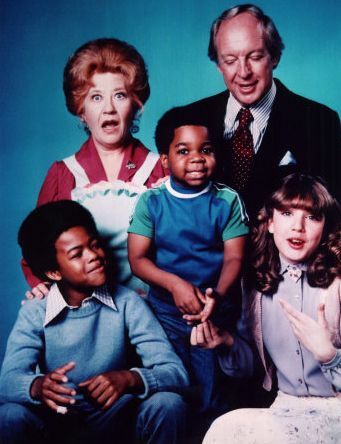 Sly Stone said it best: Different strokes for different folks. Seems like a complicated way to spend 55 minutes figuring out what kind of power you can produce in 60 minutes. I'm not a fan of the "depleting your high energy stores" idea behind the 5min pre test interval. Your PCr stores will be replenished during the recovery period (as shown by P nmr spectroscopy). If they weren't what is the point of the 0.95 factor? If your anareobic energy was truly used up the 20min would be at no more than cp. However, I do think you need a solid and consistent warmup. A 5 min vo2 interval does that, but I don't think it should be an all out 5 min test, more like 105 - 110% of your last / expected ftp. skip the alternative and go the full 60min. then there is no guessing. done and done. There is a down side to this. First, it's F-off hard to do right. Second, it's a hell of a lot of stress which might not be what you're looking for. Ultimately, what you want is a number to base your training zones off of. A 20 minute test does this well. I don't train w/ power, so correct me if i'm wrong, but an ftp test is only valid if you're properly* motivated, correct? In addition to what's been posted above, it seems like a 20 min test is better if you can get motivated for that but not the 60 min test. *Yes, we can debate properly motivated. To the OP, you should be using a percentage of average, not normalized power. However, they really should be the same or np may actually be lower than ap if the test is performed properly. As for motivation, that is a big part. The purpose is to set zones and perhaps use it for pacing strategies although I would hate to TT without doing a longer effort so I would be confident the number is correct. It would take a very special person to do an all-out 1 hour test every 3-4 weeks which is probably optimal for testing depending on your training cycle. For this to work your test has to be repeatable with repeatable conditions. For this reason, I do not like any all-out effort. I think a much better way is to perform sub-threshold testing and estimating ftp off of that. I would argue it is just as accurate and much easier to replicate. However, it does not work very well for someone who has not performed previous testing or does not have a lot of power files to help estimate where the sub threshold effort should fall. related question: where do i do my 5' test? Option 2: a stretch of Central Park that has few downhills. 5' record (done a few days after the test mention above) was 4.5w/kg. FWIW, i've also done 5.07 in a not very well effort when i attacked from 2 miles also, but motivation might have helped make it high. I'd say motivated, fueled and rested are all key points. In the end, it's just a tool you use for training...and for ewang measuring. Most people I know are testing this on hills. I think it would depend on what you are doing with the number. If you are setting a zone with it, do you train with that # on hills or flats? It is usually easier to create power on hills for most people and there is also going to typically be a difference in cadence. I have two key races that I want to do this year with 10-12 minute climbs that will most likely make be the selective points in the race so I will do my CP12 work on hills rather than flats like in the past. I did comparative 5' tests in the same week and came out within 2 Watts on a hill test and a rolling/flat test. It's just easier to stay motivate on a hill. Race 2, Yale circuit. 1.9 miles at 3.6%. I think from top to bottom i did it in 6 minutes on the last lap of the race last year. Race 3, Army road race. 2.8 miles at 4.0%. I'd say it's a 11-12 minute effort on race day. Actually within 40 miles of where i live. Only thing is, the longest hill within riding distance (& still have enough to make it back) is the one i'll be going to today, and my zones and everything are based off of flat ground FTP as most of my riding is done on flat ground. With my shorter cranks, i've actually found it easier to turn it on flat grounds than compared to the past. i might just do this, and do a fatigue profile testing while i'm doing the ones on flat ground. 95% (as mentioned above) of the 20 min. TT is correct. Also, somebody already mentioned, but you use average power, not the normalized power. Do you have their book "Training and Racing with a Power Meter"? If not, it's worth the $25 or so bucks. There's a ton of good info in it, if you're going to be training with a power meter. Some replies in this thread are misdirecting from your plan. If somebody hasn't trained with power, they shouldn't be trying to give you pointers on how you should...just sayin'. Without sarcasm, I aspire to the level of training precision being shown here. I'm struggling to remember to put on a HR strap when i get dressed for God's sake! Advice from people wiser than I?